A major development to increase the size of Aycliffe Business Park with a huge 55-acre site, including a pub and restaurant, has taken another big step forward. 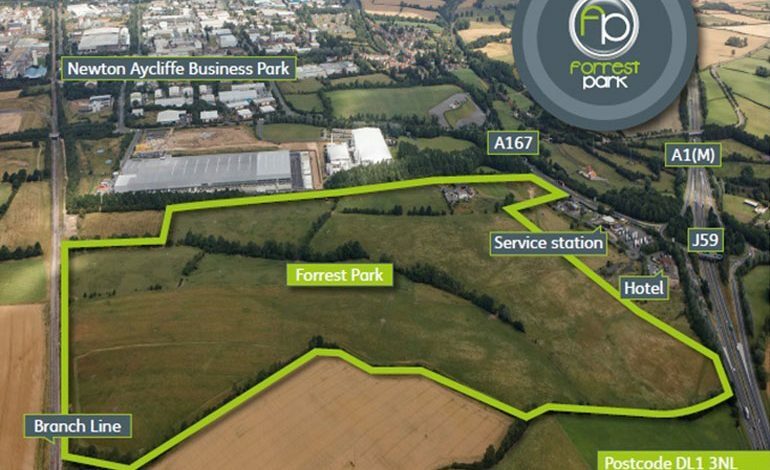 A developer has been assigned to build Forrest Park, which is said could create more than 3,000 jobs and boost the economy by £495m in little over a decade. As revealed by Aycliffe Today in January, developers revealed that consultations with developers was under way and an outline planning application was close to being finalised. Richardson Barberry has now been selected to deliver the proposed expansion, which will include more than 1.75 million sq ft of business and industrial units and the potential to accommodate a rail freight interchange. The West Midlands-based company’s other work in the North-East includes two phases at Freemans Reach in Durham and the city’s Milburngate project. Richardson Barberry has signed an agreement as retained development partner with Forrest Park Newton Aycliffe – a joint venture between the Forrest family and Durham County Council – and a planning application is about to be submitted to the local authority any time now. The proposals include a range of business, industrial and distribution units varying in size from 30,000 sq ft to 500,000 sq ft, a trade park consisting of 11 units from 5,000 sq ft to 10,000 sq ft, and ancillary amenity uses including roadside food offerings, a public house and restaurant. Forrest Park – which has attracted £13m funding from the Local Enterprise Partnership – could create 3,200 jobs and deliver a gross value added (GVA) economic boost to the area of £495m over the next 10 to 15 years. A planning decision is expected later this year. Jonathan Robinson, Barberry development director, said: “We are very pleased to have been selected as development partner for this prestigious project and we are excited at the prospect of delivering one of the North East’s most impressive business parks. Cllr Carl Marshall, Durham County Council’s cabinet member for regeneration, said: “Providing land for developments like this is a critical part of supporting the creation of more and better jobs for our residents and the appointment of a delivery partner is the next piece of the jigsaw in bringing these to fruition. 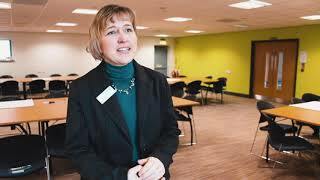 Aycliffe Business Park is already home to around 500 companies and around 10,000 employees. The preparatory groundworks, site infrastructure including new substation, service connections and highways improvements known as the Forrest Park enabling works began in 2016. Richardson Barberry has recently started construction of the first phase of a multi-million pound business park in the South West – the first phase construction of a speculative development of five mid-box industrial units.